The MasterTwill Ultimate Summer Combo Tops are an all in one combination for Wrangler JK Unlimited 4-Door Jeeps. 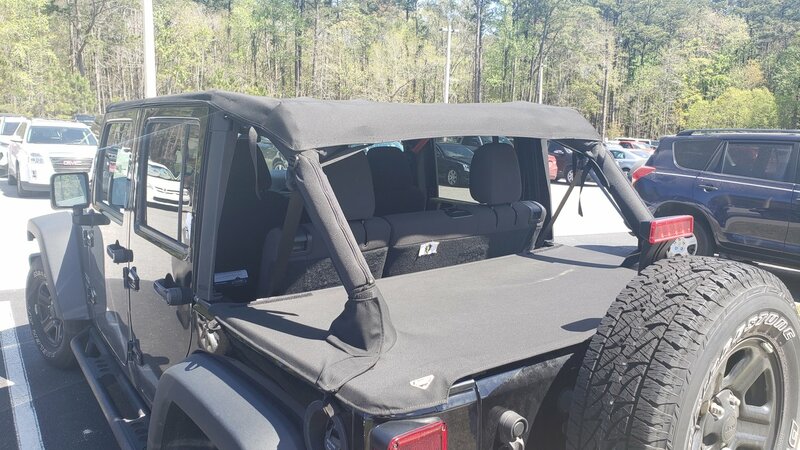 This three-piece kit includes a cable style Bimini Plus top with the included no drill header attached, the Wind Stopper Plus cab curtain and a rear Tonneau that is custom fit for the vehicle. 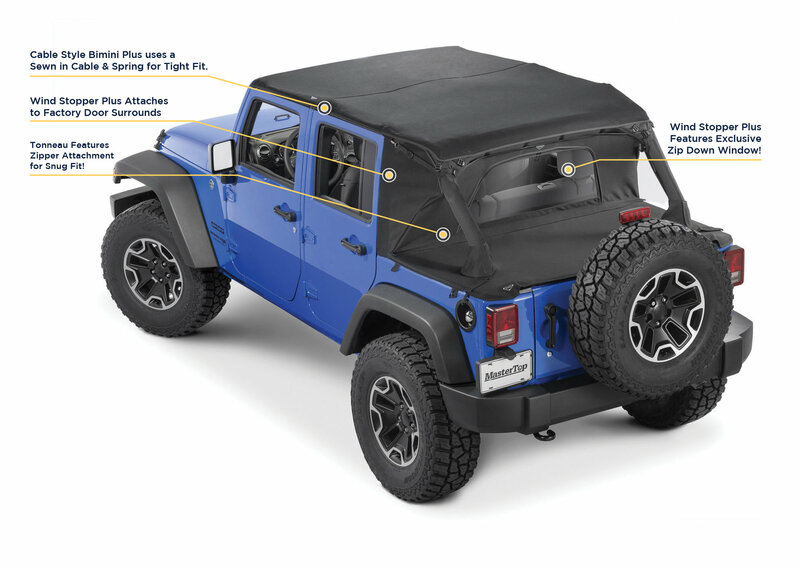 All three pieces are designed to help enclose the cab and rear of the Wrangler. 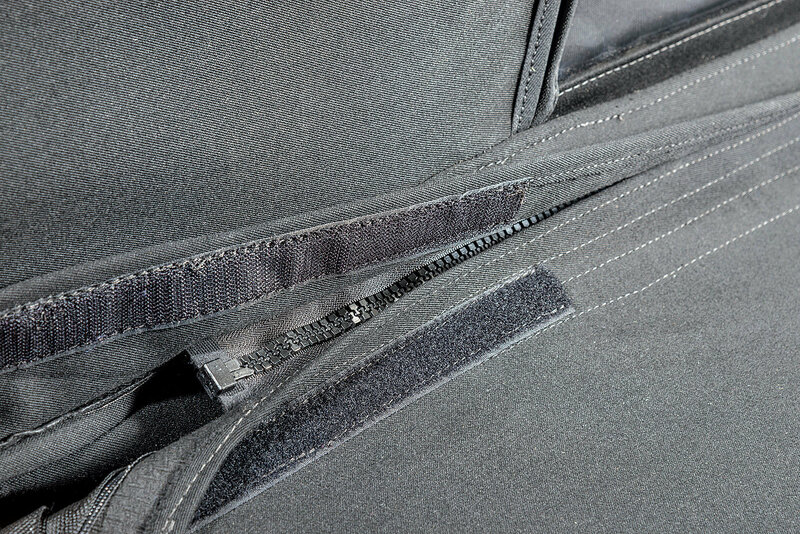 All of the components are constructed of durable thee layer MasterTwill fabric, which makes this combo the ultimate in luxury and convenience. 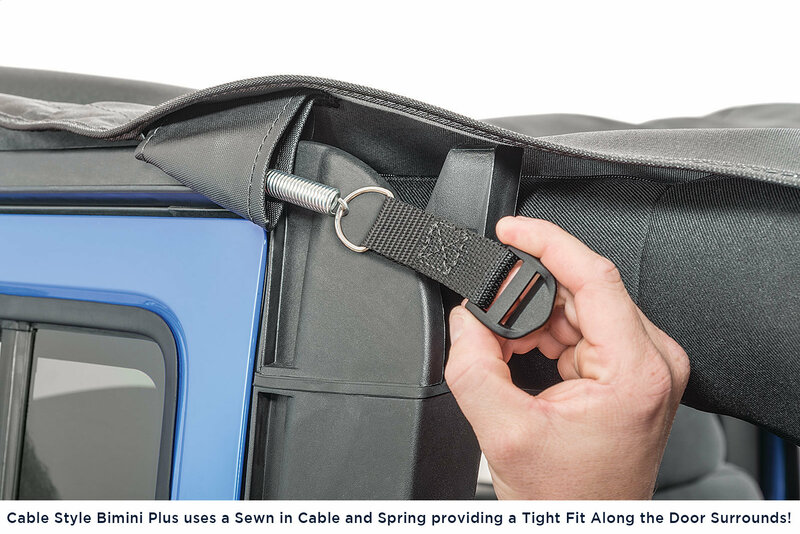 The cable style Bimini Plus top features a unique design that uses a sewn in cable and spring that attaches to the vehicle which provides a tight fit along the factory door surrounds. 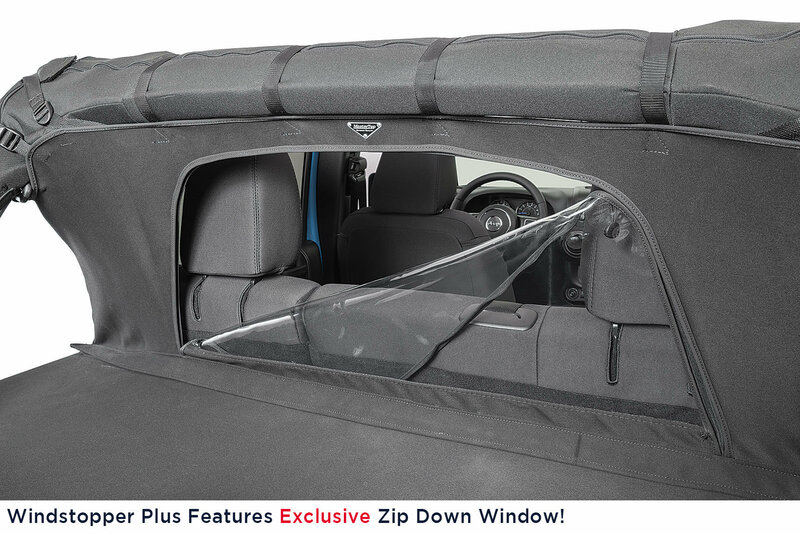 The included and pre-installed header windshield channel secures the top along the front of the windshield. 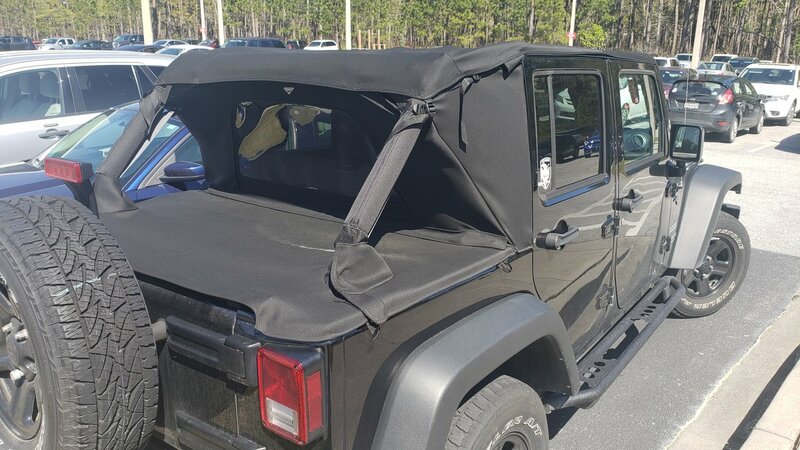 The included zip down Wind Stopper Plus curtain and Tonneau cover are custom matched and designed to work exclusively together to seal the rear of the JKU. Factory door surrounds and rear tailgate bar are required to be reused for correct fitment. 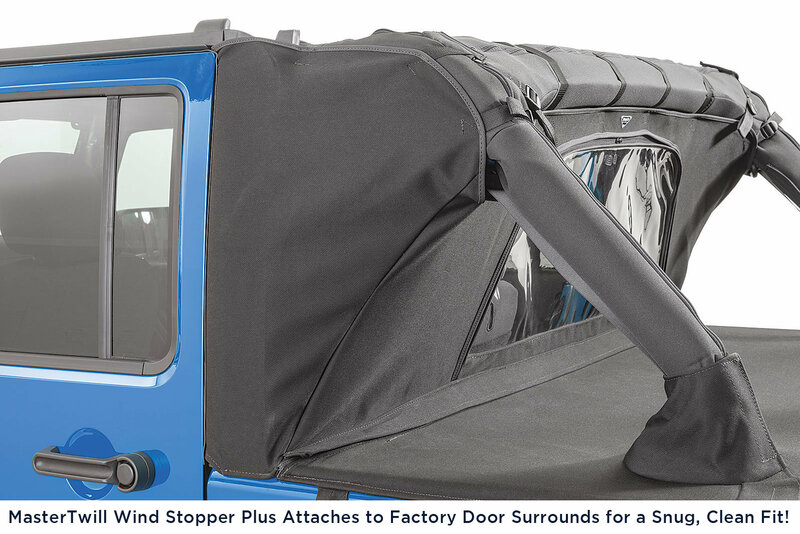 The hardtop version of this combo includes door surrounds and tailgate bar with clips for vehicles not equipped with factory components. MasterTwill Material: MasterTwill is an innovative material that is designed to provide superior weather and noise protection, while giving that true fabric convertible top look! This three-layer material is specially manufactured to give the ultimate in waterproof and insulated protection from any type of weather. 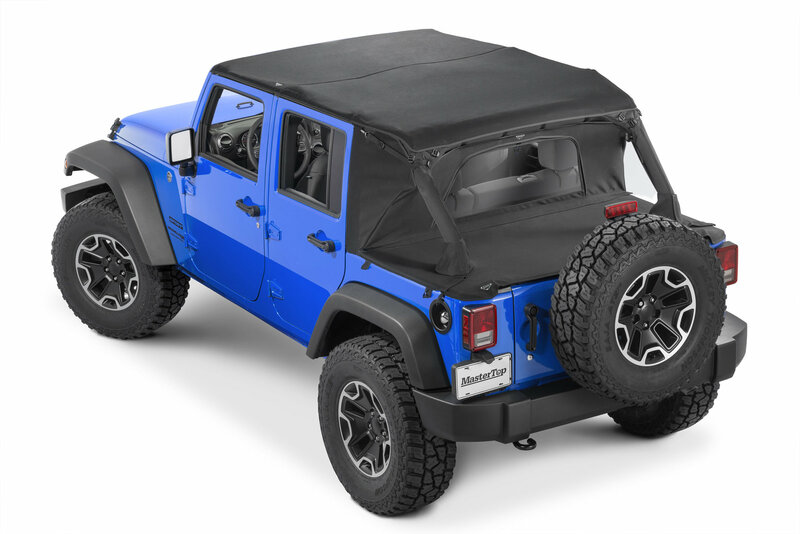 Complete Solution: The MasterTwill Ultimate Combo is the all-in-one stop for a summer combination soft top for the Wrangler JK Unlimited 4-Door. 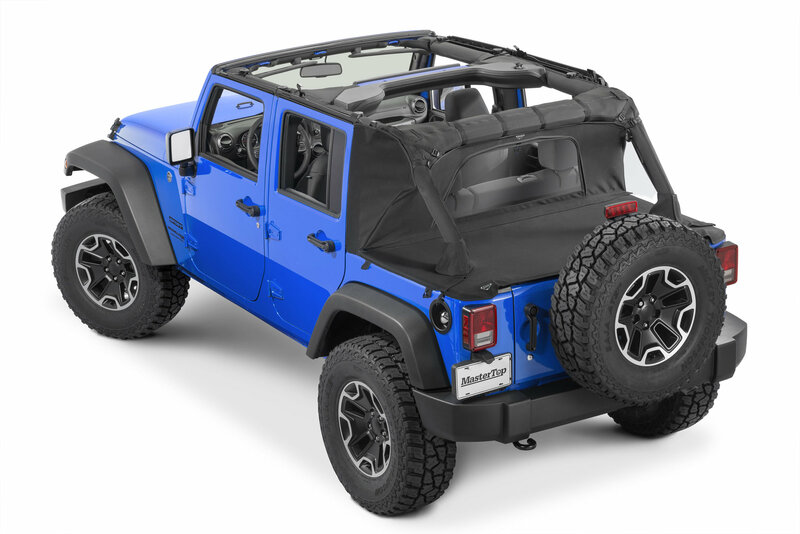 The Bimini Top Plus, pre-installed header windshield channel, Windstopper Plus, and custom Tonneau cover are all included. All components are custom designed to work together to ensure the best fit and performance. Craftsmanship: MasterTop Soft Tops proudly include a Treated Aluminum Emblem making the MasterTop brand stand out from the competition. The quality of the door surrounds on the hardtop version is pretty bad. They are definitely a pain to get together so if you are going to take this on, be sure you are up for the task and can take some breaks or be ready with a healthy dose of patience. The rear driver-side surround I received was cracked which was a drawback but tried to at least test fit. When I opened the bag with the mounting screws (for securing along the roll cage), one of those also arrived broken with the handle well separated from the screw itself. At this point a little terrified to open anything else. I'm not sure the quality of this product is up to par and will be looking for some other product options. Great top so far and easy to install. I purchased the soft top version so I used my existing door surrounds. Had a slight issue getting the rear cargo cover stretched to each side but waiting until a warm sunny day resolved it. Road noise is there but no different than a regular soft top. The rear window provides a nice wind break when riding with the window up and top removed. Very happy with it so far! 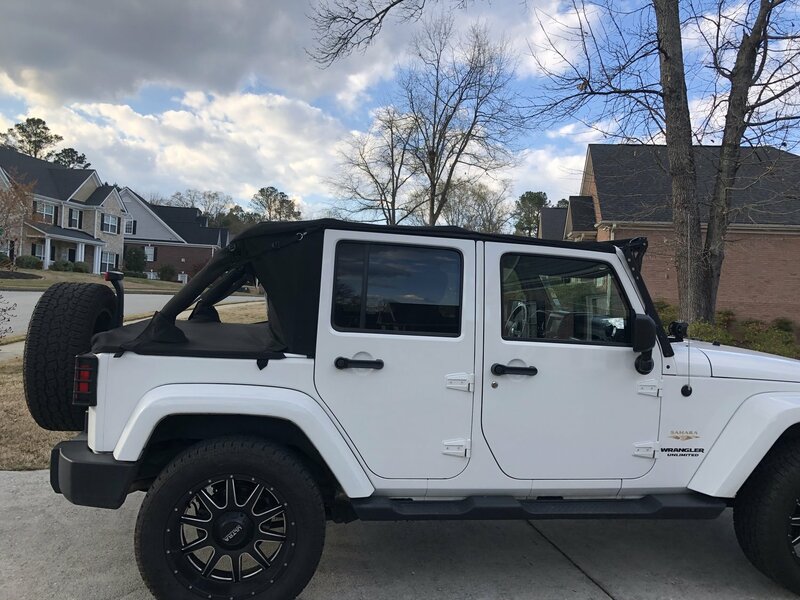 Bought the "Hardtop" version a couple weeks ago. Despite a PEBCAK error with payment (the ever-awesome Quadratec Customer Service folks were super helpful and solved the case! ), the top was delivered quickly and the boxes arrived in excellent condition. Installation seemed pretty easy and didn't take long, though this is my first soft top of any kind so I don't have much of a frame of reference. The door surrounds were a bit of a pain to put together. Judging by what I can see of other aftermarket surrounds, MasterTop's aren't "great" but they get the job done and I haven't had an issue with them yet. The Top, Wind Stopper, and Tonneau are EXCELLENT! By myself, the top and WS come off in a few minutes, putting them on takes only slightly longer. You should have a rain app on your phone and check the weather any way so I have no sympathy for you. The Twill is strikingly darker than any sailcloth tops I've ever seen and wind noise is not bad at all from the little Highway driving I do. 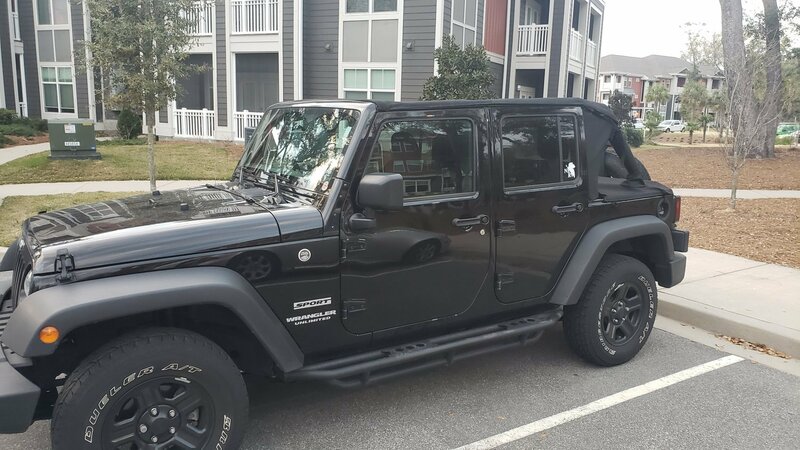 The ONE complaint I have and I'd almost take half a star off for it cause it's such a bone-head mistake; there is a metal MasterTop badge on the top located on the driver's side and sits right on top of the overhead speaker unit (its on the outside and interior of the top). So if the top is on and you roll down your window, the badge tap tap taps right behind your left ear. A small piece of padding with 3m tape takes care of it though (You'll have some if you get the hardtop version). It hasn't rained much since I've put it on so I can't speak to how "water tight-ish" it is but I love love LOVE it, excellent buy!